Mark and Helen Johnson are not only the founders of Out of the Ark but also its principal songwriters. Their vision and gifted writing have ‘helped put the singing back into assemblies’ and have taken the company from very humble beginnings to it’s current position as one of primary education’s favourite creators of musical resources. Mark and Helen’s ability to write songs with catchy melodies and memorable choruses that both children and adults adore, continues to be the cornerstone of their appeal. Mark and Helen live in West Sussex and have three children. Niki Davies is one of Britain’s top music writers for young children. She is an early years education specialist and therefore understands how to appeal to the young through her music. Whilst having numerous works published, Niki is also in great demand for her teacher workshops and has written for many BBC radio and television programmes. Niki has two children and lives in Yorkshire. Mary and Julie have a successful writing partnership with several published works for Early Years, KS1 and KS2. Their productions have been widely performed as well as being broadcast on TV. Mary began writing when her children were small and was a regular outline writer for TV’s Play School with many of her poems and stories also being broadcast. Julie graduated from Trinity College of Music, initially working as a dance accompanist before starting her teaching and composing career at Francis House School in Tring, Hertfordshire. Sha began her professional music career as part of a successful band that toured extensively both here and abroad, releasing several records and performing on world renowned stages and on BBC1. After starting a family, she changed gear to work with younger children, entertaining and teaching them in numerous nurseries in SE England. Another gear change saw Sha train to become a secondary school music teacher, culminating in a role as Head of Music and then Head of Performing Arts in a large state school in Middlesex where her department won several awards for excellence from The Good Schools Guide. She has recently changed direction again and is currently the Director of Music at St James's Catholic Primary school, an outstanding state school in Twickenham. 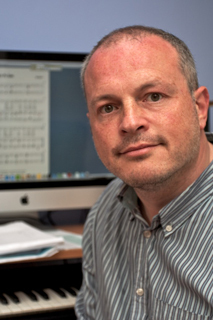 Paul Field has been working as a professional composer and musician for over 30 years, receiving many awards for his songwriting, including an Ivor Novello from the British Academy of Composers and Songwriters. His songs have been recorded by many artists, one of the most well known being the single The Millennium Prayer by Cliff Richard. Paul also writes for TV, film, theatre and advertising and has written and produced a number of albums of children's songs. Paul lives in London with his wife Ruth, and has two sons. Ann Beresford has a wealth of experience in teaching and writing music for all ages and stages of life. In particular, she loves working with pre-school children and their parents making music a mutually fun experience and developing physical, emotional and social skills. Ann is also a qualified Music Therapist working with children and adults in challenging circumstances. She lives in West Sussex with her husband Paddy and has two daughters and three grandsons. Margaret Carpenter, a teacher for over 20 years, has a joint passion for music and teaching. Writer of many popular musicals for primary schools, she continues to work with her children's choir, writing and recording new music. An extremely gifted composer, Margaret has developed a strong following for her musicals and nativity plays. Married to Richard, she lives in Wiltshire. Antony studied at The Royal Academy of Music, and is a freelance musician and composer. As a horn player, Antony performed and recorded with most major UK orchestras, including the London Symphony, BBC Symphony and Royal Philharmonic orchestras, appearing with a wide range of artists from Tony Bennett to Pavarotti. As well as performing, Antony is an experienced teacher and spent several years as Director of Music at an independent school in Berkshire. He now works as Senior Music Editor for Out of the Ark. Antony is married, has two children, two step-children, a beautiful Border Collie called Scoot and has more bees than he can count. Matthew Crossey has worked in music publishing for nearly twenty years. Initially signed as a pop writer for a major publishing house, Matt later found himself working on the other side of the track, running marketing and creative departments for music book publishers. Rebecca studied at Sussex University and The Guildhall School of Music and Drama and is a freelance musician and editor. Before having children she spent several years at BBC Worldwide as a books editor and has been teaching the piano and flute for 15 years. Alongside her teaching, she runs successful music groups for toddlers and loves to write songs for young children that capture their imagination and are fun to sing. Rebecca lives in Surrey with her husband and two children. Sue Langwade is a writer with many years' experience in primary education. She has collaborated with Mark and Helen on several projects and has published a book of short sketches entitled 'Brushstrokes'. Sue is married with two children, five dogs and lives in Surrey. Nikki Lewis is the winning songwriter from our Search for a Songwriter competition (2006), with her entry Colours of The World. Nikki is an advanced-skills teacher specialising in primary music and drama. She leads music and drama initiatives throughout Somerset supporting the work of teachers in primary schools. Nikki is also passionate about raising the profile of singing in schools and leading singing workshops for children across the primary age range. With numerous publications under his own name, and many works within collections, Ned Bennett is well known as a writer of educational music. As a music teacher he has over twenty years of experience behind him, and he is also a busy freelance jazz saxophonist in London. Having a young son has enabled Ned to see at first hand the joy and importance of introducing music to children at a very early stage. Kelly produces original visual and musical material and has contributed her ideas to many popular television productions for over a decade. She has a passion for positively influencing the lives of children through her work. Sarah studied music at Birmingham University and the Royal Birmingham Conservatoire, specializing in piano performance and composition. She has worked for over twenty years as a pianist, choir leader and vocal coach in Birmingham primary schools and has written several musicals and song collections for young voices. She loves enabling children to enjoy music through singing and performance, and passionately believes in the unique qualities of the performing arts to develop self-confidence and positive attitudes in all who take part. She is currently the Vocal Composer in Residence for Services For Education Music Services and examines for ABRSM. Rob Studied at the Purcell School and Royal College of Music. Having spent several years working as a freelance french horn player with UK orchestras and in the West End, he now works as a composer, arranger and orchestrator, and produces his own instrumental cds. His music has been performed by many of Europe's leading orchestras and has featured in numerous films and productions. He lives in Harrow with his wife and two-year-old daughter - who is a big fan of Out of the Ark songs! Jeff Hammer trained as a classical pianist and went on to work in music journalism and record company press offices before moving into the world of professional music, where he has since worked and toured extensively with many top artists. He has been involved in a wide range of recording, writing and TV projects and is also the author of a number of books on keyboard playing. Alison Hedger has spent her career making, writing and publishing children’s music and has become a highly respected figure in the field of music education. A happy understanding of children and an insight into their humour, means that her songs really appeal to young performers, whilst delighting teachers, families and friends alike. Ali has many years’ experience teaching, writing and performing music. She runs workshops empowering teachers and early years practitioners to have fun and be successful in their music experiences with children. Ali also works with trainee teachers, lecturing for Kingston University. She believes that music is the key to so many areas of the curriculum and life and should be practical and accessible to everyone. Ali has recently written a book called Making It Better For Boys. Ali is married with three young sons who show her new ways to make music every day. Hannah Rhodes graduated from Birmingham University in 2008 having specialised in piano performance. She now works as a freelance singer, pianist and composer for theatre and directs choirs for Oxford Youth Choirs and St John Fisher School, Oxford. Hannah is the founder of Macamu, a collective of musicians and arts professionals performing and recording original songs for young children. Ann Bryant has over 25 years’ teaching experience specializing in music for 3 – 9 year olds. Her lessons captivate the children with an atmosphere of high energy contrasted with intense calm, creating moments of magic that are truly inspirational. Ann has written for BBC schools radio and TV programmes, and has published over 100 books comprising children's novels and picture books as well as primary music resources. Ann has two children and lives with her husband in Kent. Jane Carr has a wealth of experience in the field of music education, having worked with several leading children’s book publishers creating audio content for a number of their main titles. An honours graduate in music from the University of Wales and a post graduate of the Royal Academy of Music, London, Jane is currently Education Director of ‘FUNtastic!’ a multi-platform music-led brand for young children. Mary is a primary school teacher and is recognised for her infectious enthusiasm and fun approach to helping children reach their full learning potential. With over 40 years in teaching, Mary is abundantly experienced in developing effective learning resources to enthuse teachers and children alike. Ali has been working with early years and KS1-aged children for over 25 years. For the last ten years she has been writing songs for children and is passionate about making singing fun and meaningful for them, always seeking to inspire them through her music. Ali is married and has three daughters. Marco wrote his first song in 1981 and has continued to write since that time but only recently decided to get involved in music full time. In July 2007 he set up Good Gracious Music Ltd and in 2009, graduated from The Academy of Contemporary Music in Guildford, Surrey with a BA Hons in Music Business. He dedicates all of his time to writing, recording, and producing as well as teaching guitar, songwriting and performance to children aged from 8 to 80. Marco, is a bit of a cowboy at heart. He was born in Twickenham, has lived in Fuengirola, Spain in Dallas,Texas and now lives in Midhurst, West Sussex with his wife Vivienne, his two teenage daughters Jemma & Lucy, and a Rhodesian Rigdeback dog called Gus. 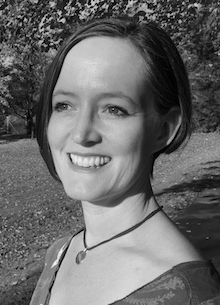 Gaynor Boddy studied at Royal Holloway University of London, obtaining a degree in English Literature and Language. Prior to having children, she worked as a Children's Bookseller. She loves writing for children and has a firm belief in nurturing children's all-important imagination and creativity through stories and language. She lives in Surrey with her husband and two children. Matthew Newman grew up in Staffordshire and graduated from Lancaster University with a degree in English and Music. He now lives in Yorkshire and works for a local homeless charity. He has written lots of fun songs for children and thoughtful songs for adults over the last twenty years that have been popular with many schools and churches. He was invited by a local school to write a new nativity musical for their youngest pupils, and enjoyed spending time working closely with the children and their teachers to develop the music and script for Christmas Counts. Natalie is a Music and Performing Arts co-ordinator for primary schools. Working with infant children on a daily basis gives her clear insight into their musical capabilities and what makes them tick in general. A keen singer herself, she leads an adult ‘a capella’ choir and also works with the Out of the Ark Choir on their various recording projects. Naomi has been writing songs since she was 13. She has written and recorded two albums of her own material, which have been featured on the radio. Since leaving Leeds College Of Music, Naomi has been pursuing a full-time career in songwriting, with a particular interest in musical theatre. Lin Marsh trained at Trinity College of Music and London University, later gaining an MA in Performance Arts at Middlesex University, and has worked extensively in music education across all sectors. As a composer she has written for BBC children’s programmes, both television and radio, and has a particular focus on music theatre. June 2014 saw the premiere of Wild Swans which was commissioned and performed by the Hallé orchestra and Children’s Chorus. As a voice specialist, Lin runs workshops and courses throughout the country and abroad, and was one of the National Advocates for the Sing Up programme as well as adjudicating and conducting vocal festivals. She is currently working as a World Voice Trainer for the British Council in Lebanon and Cyprus. Since the mid 1980s, Noel and Tricia Richards have been known as writers of contemporary Christian worship songs, which have found their way into regular use in churches throughout the UK and beyond. Perhaps their best known composition is 'All Heaven Declares'. They currently have 17 songs that feature in the UK CCLI top 500, Church Copyright listing. In 2010, they relocated to Palma de Mallorca, Spain and so began a new direction for their music and songwriting. Maree was runner-up in our Search for a Songwriter competition (2006) with her song Colourful Hair. The standard was so high that we just had to include it! Maree gained a B Ed Music degree in 1999 and later completed a Diploma in Jazz. Currently, she teaches music at two primary schools in the Shetland Isles.